Spiteful Puppet was formed in 2013 with the aim of becoming known for quality audio drama. Following a hugely successful audio creation of Richard ‘Kip’ Carpenter’s lost TV script, The Knights of the Apocalypse, we are working with ITV on four whole new adventures, due for 2017 release. Spiteful Puppet only comprises a small team, but we aim to provide the best service to our customers.If you have any questions, please don’t hesitate to get in touch with us. The Knights Of The Apocalypse is a magical experience. Its story will satisfy, so much so that it could slip-in right next to that final TV episode that aired June 28, 1986. 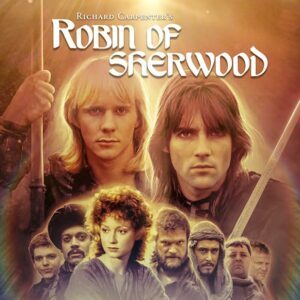 As a massive fan of Robin of Sherwood and its mythology, I can’t really fault The Knights of the Apocalypse – it delivered on every level; even the iconic Clannad theme returns and there’s a mysterious cameo from former Hood Michael Praed. 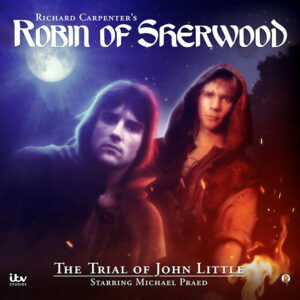 Spiteful Puppet’s fresh and novel take of the legend of Robin Hood has been a breath of fresh air with their nuanced and well thought-out take on the Robin Hood myth.